Every weekend when I visit our nearest Co-op superstore I dread driving past the signs which read ‘REPATRIATION PARKING’. The store is in Carterton, adjacent to RAF Brize Norton, where the bodies of UK armed forces killed in Afghanistan arrive by military plane all too regularly. 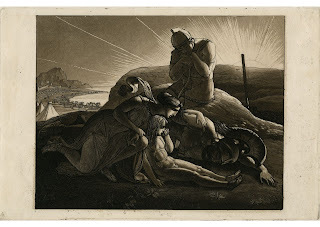 Ares the war god trades corpses for gold. back to loved ones to lament. take the place of men. 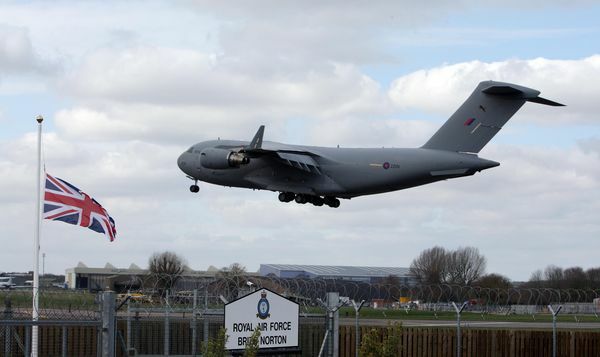 Three days ago (5th July), the cadavers of Warrant Officer Class 2 Leonard Thomas (44), Guardsman Craig Roderick (22), and Guardsman Apete Tuisovurua (28) were received at Brize Norton by their families. They were then driven via the bleak route following barbed-wire perimeter fencing and grey housing estates to the A40 and eastward to the Oxford hospital in which my own children were born and in which the military's post-mortems are conducted. The pointlessness of the entire Iraq /Afghanistan military misadventure has been recently underlined by the revelation on June 8 that more US combatants are now committing suicide than are being killed on active duty. It is not just the ‘War on Terror’ that makes soldiers kill themselves, either: the 30th anniversary of the Falklands War this year brought to light the horrendous statistic that more British Falklands veterans have committed suicide than there were servicemen killed in action. I am not a pacifist. I would use violence to defend my family any day. Even modern states need to protect their borders and airspaces; they need trained personnel to mobilise in case of emergency. But the practicality as well as the morality of maintaining large forces in readiness for inter-state conflict must now be questioned. Joshua Goldstein and Steven Pinker argue that war as it has been understood for centuries, especially when the motive is conquest or not even comprehended by the inhabitants of the nations in question, is obviously obsolete. War is not even as economically advantageous as in the past since it demonstrably damages more trade than it sustains. The suicide rates amongst the armed forces now prove that war also needs to come with a mental health warning. 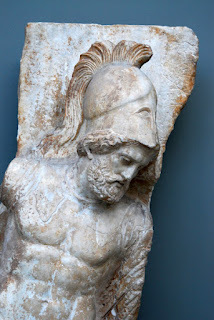 The tragedian Euripides knew what he was doing when he makes his superhero Heracles return from sustained deeds of violent aggression to murder his own wife and children. Heracles' human father, Amphitryon, understood what had gone wrong: ‘My son, what do you intend by this? What dreadful acts are these? "Can it be that it is the blood of your previous victims which has driven you so frantic?"